The texts Luke Perry's co-star sent him after his death. "I know he's smiling": The texts Luke Perry's co-star sent him after his death. After his co-star Luke Perry died suddenly from a massive stroke earlier this month, Brian Austin Green sent him a text message. The pair had worked together on Beverly Hills 90210 and became good friends. “I texted him after he passed, knowing obviously that he can’t text me back but on some level, hoping that he would text me back, or that he was out there somewhere,” Green, who starred as David Silver alongside Perry’s Dylan McKay, explained recently on his podcast. To catch up on today’s news, get The Quicky in your ears. Post continues after podcast. “I’m still mourning over it, so there’s a part of me that’s kind of shocked that I’m speaking about Luke this way,” he said. He also revealed on the podcast that the 90210 cast recently reunited at a private gathering at Gabrielle Carteris’ house (who played Andrew Zuckerman) to celebrate Perry’s life. Fans, colleagues and family have all been left shocked at the star’s sudden passing. 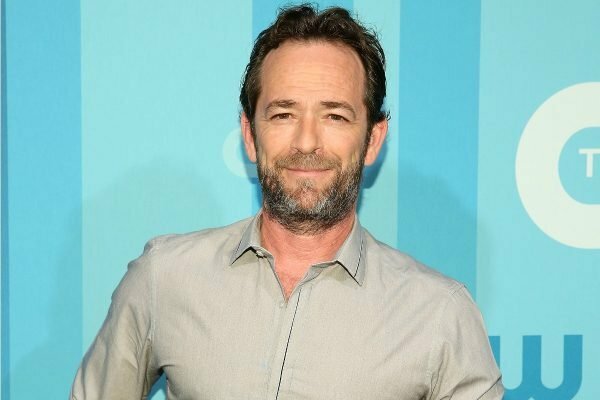 Luke Perry died earlier this month aged 52 from a massive stroke. Image: Getty. He was rushed to a Los Angeles hospital after suffering a stroke, and died a few days later in hospital surrounded by his fiancee, children, ex-wife, parents, and siblings. Publicly, Perry rose to fame on Beverly Hills 90210, but was most recently known for his role on the teen series Riverdale, in which he played Archie Andrews&apos; dad, Fred. He will appear posthumously in Quentin Tarantino&apos;s Once Upon A Time in Hollywood in which he played American actor Wayne Maunder. Since his death, stories of his kindness, and humble nature have been shared across the internet. They include stories about him entertaining crying children on long haul flights, helping victims of the 2010 Tennessee floods and refusing drivers in place of his best mate&apos;s beat up old car when he returned home to Ohio for press tours.